If your dream wedding destination is Krabi or Railay beach area we can help you get your marriage legalized in Krabi. Know as the oldest permanently inhabited city in Thailand. With its great beaches and amazing climbing in the area. Many couples have asked us in the past to help legalize their weddings. Sadly we had to decline. We are happy to announce we can now offer this document only service to you. OK, so Krabi is not famous areas for weddings. We know it is a truly special place in many peoples hearts. We can not arrange you get registered Krabi. However, we can help with assistance in with paperwork in Bangkok, to the signing of all documents in Krabi. Then providing the English Translation of your Thai Marriage certificate. We just get all the documents ready so your resort’s wedding planner can take you to register the marriage in Krabi the choice is yours. It will take you weeks to get registered there. We start off with making sure you know and have all your documents ready. In order to be submitted to your embassy to be witnessed or issue you an Affidavit of freedom to marry in Thailand. This will be done before you come to Thailand. It is by email or another form of communications. Upon arrival in Bangkok, we can arrange to meet you at your centrally located hotel or meet at your embassy in Bangkok. Where you will be submitting the documents for witnessing by your respective embassies in Bangkok normally. Then depending on the time frame, you have in Bangkok. As well as, your wedding ceremony date in Raily we forward the documents to your wedding planner in Krabi. We just need to know the name and contact details of your wedding planner. They will be taking you to the local Amphur to register your marriage legally under Thai law. When completed you will be given the official legal marriage certificates and the Kor Ror 2 document. We will send you the English translation of your Thai Marriage certificate by mail. DOCUMENT PREPARATION NEEDED TO REGISTER IN KRABI. 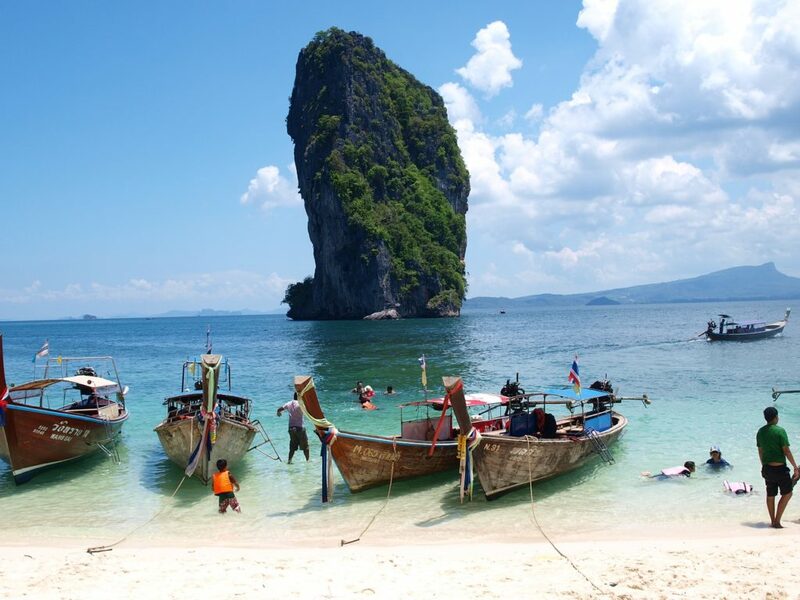 This service is designed for obtaining the required documents needed to register in Krabi, Thailand. As well as the Thai FM certification of them. Therefore, allowing your wedding planner to take you both to register your marriage at the local Amphur. This is our document preparation service see here. We will arrange to meet you at your centrally located hotel in Bangkok. Or meet at your embassy in Bangkok. Where you will be submitting the documents. For most nationalities, we will have already pre-checked by email in advance of your arrival in Thailand. They must be witnessed by your respective embassies. Then depending on the time frame, you have in Bangkok and your wedding ceremony date. My staff, will either hand deliver to you in Bangkok so you can hand carry them. Alternatively or we can forward them to your wedding planner in Krabi. We will not be responsible for any part of the actual registration with this package only the document preparation. Cost: 9,900 baht + embassy fees A 50% deposit is required at time of booking our services.